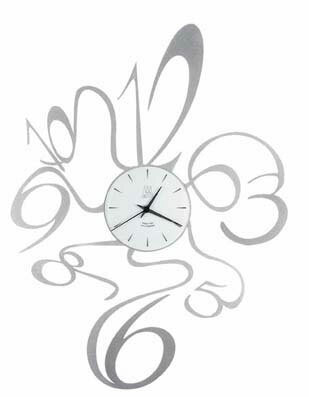 This clean and uncluttered design will enchant those looking for the ideal wall clock to hang in a contemporary study, a kitchen nook, a den or an outdoor sunroom. The colour is rich dark green, perfect to blend into a room filled with pots of evergreen plants. The face features fine elegant white hour markers and a pair of matching white butterfly hands. Size 27.5cm diameter.